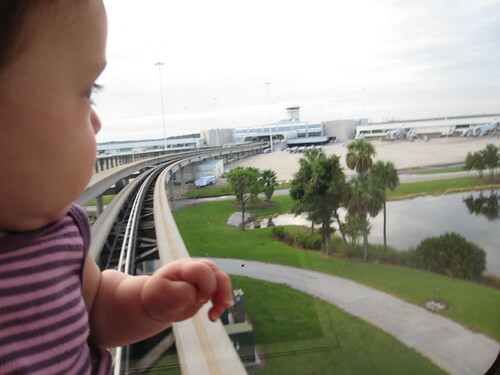 The wee one and I took off to Orlando for Labor Day weekend so we could spend some time with my family. 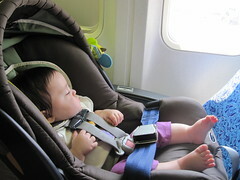 It was her very first plane ride, and I have to say she and I managed pretty well. I did all my research beforehand, so getting through security was a breeze. Well, almost a breeze – I was so intent on getting the baby and her gear through without an issue that I forgot to take off my shoes before walking through the metal detector. Ooops! Mia pretty much dozed off before we even left the gate, so she slept through the entire take-off. A little underwhelming, but I’ll take it. Why? Oh, you know my luck with flying. We hit some pretty rough turbulence and her eyes widened and she let out the shrillest cry. She wasn’t the only one – even the adults were freaked out. I myself was pretty scared, but now I know what it’s like to have to put on a brave face for your children. Thankfully it was a short flight! 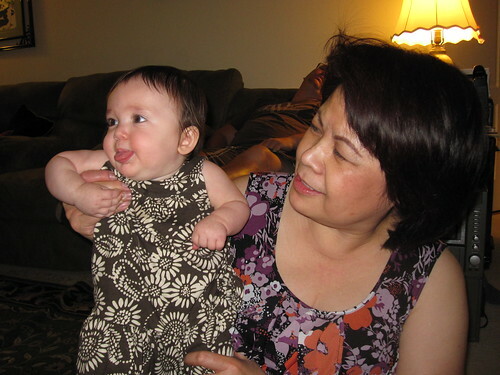 We had lots of fun visiting with waipo (my mom) and my sister and her kids. 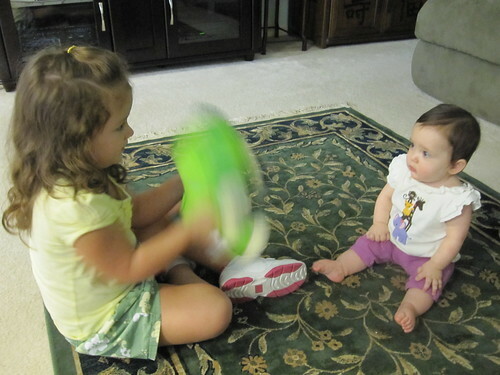 We played and played, had dim sum, and even I got to get away and relax by the pool. It was a fun short trip, but we were looking forward to getting back to Atlanta where it was (a little) cooler and less humid! Plus we missed the Mr. tons and tons! You are currently reading Da plane! at mingaling.